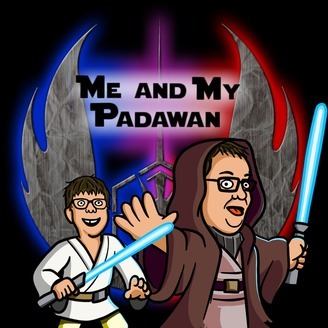 A father-son podcast all about Star Wars!!! And other things... New episodes every other week! Episode 31 - Our Star Wars Celebration Experience! 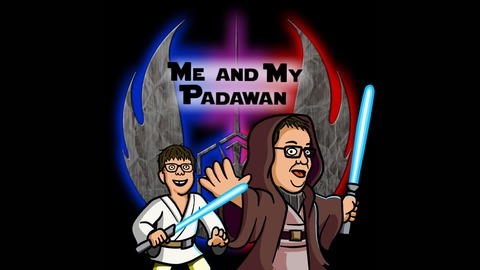 The Me and My Padawan crew are back after a month-long hiatus and a week in Chicago to share their thoughts on Star Wars Celebration! In this first part of a three-part series, Braden, Ryan, and Dillon talk about their experiences in Chicago - the people they met, the panels they attended, and the sights that they saw, giving special attention to the Star Wars Resistance Season 2 Sneak Peak panel! Acoustic Interpretation of "The Imperial March" recorded by Joe Palladino at Studio 108 in West Hartford, CT. For more information, visit www.studio108music.com. MANY THANKS TO OUR PATREON SUPPORTERS FOR HELPING US KEEP THE LIGHTS ON! As if you couldn't tell, we are not endorsed or affiliated with Disney, LucasFilm, Lego, Marvel, DC, Dr Who, Nintendo, or any other franchise or corporation that we may have discussed in this episode. Someday, maybe. That's the dream! All sound effects used in this episode are the exclusive property of their respective copyright holders. Episode 28 - Star Wars Galaxy's Edge Books; Celebration Update; Listener Questions! Episode 27 - Star Wars Resistance Mid-Season Thoughts, Lord Momin, and Super Mario!